Up to $10M is available for projects that involve construction of new infrastructure that deliver an economic benefit to the region. The National Stronger Regions Fund funding will be provided for capital projects which involve construction of new infrastructure, or the upgrade, extension or enhancement of existing infrastructure. Bulletpoint assisted the Greater Shepparton City Council to receive $7.19 million towards the Greater Shepparton Regional Sports Precinct through the Regional Development Australia Fund Round Four. The National Stronger Regions Fund is an initiative to boost social and economic development in Australia’s regions by funding priority infrastructure projects in local communities. The Australian Government has committed $1 billion to the fund over five years commencing from 2015–16. Funding will be provided for capital projects which involve construction of new infrastructure, or the upgrade, extension or enhancement of existing infrastructure. Projects selected for funding should deliver an economic benefit to the region beyond the period of construction, and should support disadvantaged regions or areas of disadvantage within a region. Local Government and incorporated not-for-profit organisations are eligible to apply for grants of between $20,000 and $10 million. Grant funding must be matched in cash on at least a dollar for dollar basis, and the funded part of the project must be completed on or before 31 December 2019. The objective of the National Stronger Regions Fund is to fund investment ready projects which support economic growth and sustainability of regions across Australia, particularly disadvantaged regions, by supporting investment in priority infrastructure. Not all projects will be able to contribute to each desired outcome, however collectively the projects will meet the NSRF objective and desired outcomes. National Stronger Regions Funding will be provided for infrastructure projects which provide economic benefit and have an identifiable and sustainable impact on a region. The Australian Government has committed $1 billion to the National Stronger Regions Fund over five years commencing from 2015–16. Local Government and incorporated not-for-profit organisations are eligible to apply for National Stronger Regions Fund grants of between $20,000 and $10 million. Grant funding must be matched in cash on at least a dollar for dollar basis, and the funded part of the project must be completed on or before 31 December 2019. Applications for Round 3 close 15 March 2016. 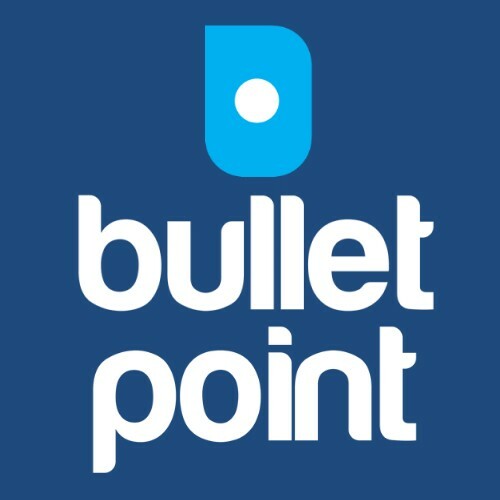 Bulletpoint are expert grant consultants and can assist with all aspects of grant preparation. We are an independent grants consultancy and not affiliated, associated nor endorsed by any government agency. We know what it takes to secure this grant. The Project will provide an additional cultural facility for the Bathurst Region through the restoration and extension of the historic Railway Institute Building. The facility will value add and strengthen the visitor economy whilst at the same time preserve and convey the significant story of rail for Bathurst and NSW. The outcome of this project is the redevelopment of the oldest wing of Bega & District Nursing Home’s Hillgrove House, which currently houses multi-bed resident rooms and an ancillary kitchen. On completion, residents will have ensuite rooms that are more private and spacious. There will also be a commercial kitchen, equipped to accommodate the organisation’s growth into the future, which will provide over 200,000 meals per year. The Project will enhance Glenbrook as the ‘Gateway to the Blue Mountains’ and better link the town centre to the Visitor Information Centre, providing growth in the tourism sector and increase capacity to manage an estimated four million tourists visiting the City by 2025 (up from 3 million currently). The Project will also improve accessibility and amenity of the Visitor Information Centre and Glenbrook Park for locals and visitors and upgrade visitor facilities to provide an interactive visitor experience. The outcome of this project will be a diverse economic base for central west NSW. Lithgow is rapidly emerging from a town with a history of coal and dust to a city for the 21st Century. The Project will use the region’s history to create a new future for the community. The Upgrade of Dubbo Airport and Aeromedical Facilities will ensure Dubbo City Regional Airport will consolidate Dubbo City Regional Airports position as a key regional air provider for the Western and Orana Regions. The Project will increase tourism, provide improved healthcare provision and facilitate economic growth through the attraction of new business, delivery of new services and expansion of existing businesses in the General Aviation Area. The outcome of the project will be growth in economic activity in Central West NSW by lifting throughput at the Forbes Livestock Exchange Cattle Selling Facilities from 1800 Cattle a day to 2600 a day. The project will take the exchange to 105,000 head of cattle a year worth $84,000,000 to the Australian economy. The project will build on the available cattle that currently exceeds capacity. The outcome of this project is to construct an access road and building, including fit-out, to house the educational, administrative and volunteer functions of the organisation currently located in the Koala Care Centre. The Project will provide a secure garage for the organisation’s Rescue Van, which is currently parked in the open and will improve the organisation’s capacity to promote the complex as an educational tourism experience and tourist destination, increasing our visitor numbers and enabling us to deliver educational information about koalas to diverse groups. The outcome of this project is to create a multipurpose meeting space and an archival storage area at Hurstville Library. These spaces will enable Hurstville Library Museum & Gallery (LMG) to provide a training and education hub for disadvantaged groups and local small businesses; create a maker space that encourages creative expression, skill development and inter-generational learning; provide affordable meeting spaces for community groups and local organisations; and offer professional development opportunities for the cultural sector. With partner investment this project will generate jobs, alleviate disadvantage and unemployment; fulfil community needs and foster lifelong learning. The construction of a multi purpose facility at the Hildasid farm will create a range of skill development opportunities, meaningful lifestyle activities and employment for disadvantaged members of the community including people with a disability, mature age workers and culturally and linguistically diverse members. This project will facilitate investment in the airport industrial precinct by unlocking a commercial hangar precinct with new airside apron, in conjunction with service upgrades (sewer/water/power) to support flagged investment opportunities at the Airport. The new Ronald McDonald House Westmead will provide accommodation for a minimum of 1360 families from regional NSW, interstate and overseas per year, for the duration of their child’s treatment for serious illness at the Children’s Hospital Westmead. This expansion is three times the current capacity of RMH Westmead and will support the more than 400 families that are currently unable to be accommodated each year, while making provision for the future needs of the growing population. The Royal Far West (RFW) Centre for Rural Child Health and Learning will be a world-class facility dedicated to the health and wellbeing of rural, regional and remote children and their families. The new Centre will enable RFW to grow from supporting 1,650 to 15,000 regional children and families each year. This project will enable RFW to expand its services, increase its technology capabilities, and extend its reach into more regions. The outcome of this project is to create a culture hub for the Southern Sydney region with increased community organisation partnerships, improve economic growth in the region by supporting young people (under 25) commencing small businesses in the creative industries and improve economic growth in the region by increasing Shopfront’s capacity to draw larger audiences. Redeveloping the Khancoban pool is part of the Council’s ‘enhancing the vibrancy’ of Khancoban program. Swimming in the local waterways is undesirable due to sudden and rapid water flow levels caused by the generation of electricity, potential bank collapses during and after high water flow, cold temperature of the water, high boating activity, logs and turbidity after storms. The West Dapto Urban Release Area is the largest urban release area in NSW outside the Sydney Northwest and Southwest growth areas and will generate 17,000 housing lots and 135 hectares of employment lands will provide low-cost housing and work support for 50,000 new residents over the next 40 years. With the implementation of the Stage 2 extension, YECCA will be able to provide an additional and affordable 23 childcare and preschool places to meet the growing demand from the Yass Community, plus a purpose built space for underserviced families requiring the support from Goulburn’s My Direction Team. Yumaro intends to build a vibrant specialist disability housing complex operating as part of a peer support network with access to 24 hour emergency staff assistance in the case of emergency. This will address a severe shortage of appropriate accommodation for people with a disability in the Eurobodalla area. The Project will boost tourism visitation to one of the most disadvantaged regions in Australia. The Gapuwiyak Visitor Accommodation Upgrade Project will redevelop the existing accommodation to provide motel style rooms to facilitate tourism development and deliver a range of critical social and economic outcomes for East Arnhem and the broader region though job creation. 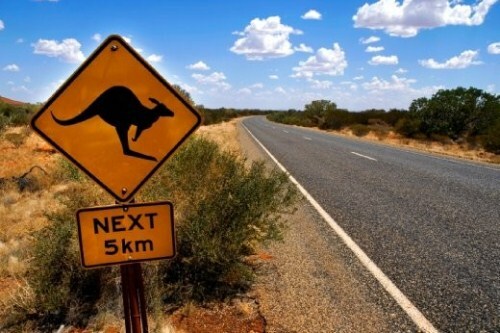 The project will upgrade and improve the existing start and end mile infrastructure in the growth centres of Ngukurr and Numbulwar on the Roper Highway, a strategic freight road in the Northern Territory. The upgrades will address capacity, logistical and safety issues for both towns where freight can only be delivered by road or barge. The Project will establish an AEIOU centre at Griffith University Logan to service an unmet and vital need for early intervention and support services to children with autism (aged 2.5-6). The Project will address disadvantage, remove barriers to productivity, develop education economies and will result in savings to welfare. The Project will redevelop Christsen Park (Stage 2), to provide for better safety and tourist/recreational amenity for users of this popular park area adjacent to “The Basin”, a popular local sheltered swimming area. The project will follow the Stage one works and will cover civil works such that a two-lane roadway to replace the existing loop road, which currently isolates the park from the beach and coastline. The project will upgrade the Burketown Wharf Precinct. By early 2018, Cairns will have a new, purpose-built performance theatre on the fringe of the CBD, estimated to cost $66.5 million. The Cairns Performing Arts Centre (CPAC) will provide for the cultural and community life of the city for the next 50 years. The outcome of this project is to construct a Roller Compacted Dam to supply 100ML of water per annum to Forsayth, 500ML of water to Georgetown, plus provide a recreational facility. This will be a key enabler that is critical to the agricultural and clean energy developments that are occurring within the Shire. It will provide an additional boost to the tourism industry having a direct benefit to our local economy. This Dam will provide a clean & secure urban water supply. The outcome of this project is to construct six family units at the Logan House Recovery Centre to provide access to drug and alcohol rehabilitation services for parents with young children. This Project will remodel the grandstand and extend the Lowood Show Society Hall to incorporate more hall space, and installation of a disabled lift for access to the hall. The project will upgrade the lighting on the Premier Oval at Harrup Park Country Club, from 500 Lux to 1500 Lux. This will meet the required standards of Cricket Australia, Queensland Cricket and the AFL to enable the facility to host marquee sporting events, especially with the demand that these events take place during the popular evening timeslot and are televised. The project will generate increases in local expenditure, jobs creation and tourism. During the construction phase the project will result in the creation of 7 to 8 jobs and gross revenue of at least $1.5 million. The Project will see a Western Terminus depot constructed as part of the first suite of works for the Nambour Heritage Tramway. The project will increase visitor numbers, generate tourism and events spending, and play a vital role in addressing disadvantage and rebuilding community connectedness and pride in the Sunshine Coast hinterland town. Restoration and opening to the public of the Rocky Creek Igloo, a heritage listed building originally used as an entertainments complex attached to the WW2 Military Hospital just north of Atherton, Queensland. It will preserve and showcase important regional history as well as establishing a new tourism asset for the Tablelands. To enhance the experience of tourists in Winton and encourage increased visitations and longer stays in the region, the ‘rising from the ashes’ of a Modernised and Enhanced Waltzing Matilda Centre will provide a hub for Winton’s Tourism Offer in the region to draw visitors to the Centre, motivate longer and more enriched stays promoting visitors to get out for a taste of the multitude of tourism and service offerings in the region. This will increase utilisation of tourism assets, as well as support industries and drive broader economic impact throughout the region. The expansion of local industry and business in Peterborough is limited by the lack of a reticulated waste water management system. Relying on rudimentary pitted systems for waste and effluent management is inhibiting expansion of significant local industry including the largest exporter of camel meat in the world, SAMEX, and a number of growing tourism businesses. The $8M redevelopment of the Lavington Sports Ground will enable Albury to attract and host major sporting events and carnivals driving strong economic impact for the region. The project outcome will be the development and construction of a small stock abattoir in Bourke, Western New South Wales. Hub The Jetty4Shores Events and Active Recreation Hub project is designed to provide a critically important facelift to the harbour foreshores of Coffs Harbour, to assist the precinct to become the showpiece of Coffs Harbour City and to revitalise a tourism product that can be marketed nationally and internationally. The RPACC will be located in the Gosford Cultural Precinct & includes a 1000 seat multipurpose auditorium, a 200 seat studio and associated facilities. The outcome of the Shoalhaven Motorsports Complex project is to develop an integrated facility that enables diverse motorsports uses (both cars and motorcycles), as well as a range of community based sporting and other events, all connected to a dedicated business and industry park that supports the facility and leverage’s further job opportunities. The project will deliver more than $8.3M in infrastructure at the Harwood sugar refinery in north eastern NSW. A new logistics warehouse, increased bulk storage silo capacity, and the movement of the packing facility will increase throughput capacity of the refinery, allowing more higher value add refined sugar products to be manufactured in Australia. The Protection & Revitalisation of Kingscliff Foreshore Project will install a permanent seawall on the Kingscliff foreshore to protect the public and central business district assets from coastal erosion and natural events. The Exhibition Centre Multi-Purpose Stadium will consist of a three court indoor stadium constructed adjacent to existing netball courts and rugby league fields. The outcomes of this project are to implement Wyong Council’s vision for a regional sports hub to meet the ever increasing sporting demand of the region and attract large sporting competitions and events to the site, providing inputs into the visitor economy, economic investment into the region by users and supporters of the facility. This project will improve economic activity and sustainability in the Windorah, Birdsville, Bedourie, Jundah and Stonehenge towns by providing 4G mobile access and unlimited capacity communications links to the national network. Centre This project will construct a new aquatic centre in Blackwater, Qld that will deliver an inclusive, contemporary facility that supports and services the needs of the regional community. The project will complement the rugby, touch and netball facilities, and includes a 10-lane 50m regional competition pool, a 25m enclosed heated pool, a zero-depth children’s leisure/activity zone and related amentities, control room, kiosk, multipurpose community meeting room and car park. The $45M Yeppoon Foreshore Precinct and central business district Revitalisation Project Stages 4&5 is a multifaceted integrated partnership development comprising drawcard tourist attractions, critical enabling road connectivity and car park infrastructure. An upgraded Mareeba Airport will provide an alternative to Cairns Airport for activities like pilot training, maintenance and some general aviation, almost certainly delaying the need for a costly new runway in Cairns and resulting in catalytic economic efficiencies. The outcome of this project will be a premium regional recreation area that takes advantage of a superior setting between the Fitzroy River and the Rockhampton CBD to significantly increase visitation to the CBD and activate this critical asset. Construction of a purpose built offloading facility and safe harbour at Thevenard including breakwater, berthing pens and wharf areas, dredging and the provision of navigation markers to enable the offloading and provisioning of commercial vessels working in the Great Australian Bight and to provide a safe harbour and land access for marine service and rescue vessels. This project will bring equality and opportunity to disadvantaged groups and tackle high unemployment. It is a major upgrade to the facilities to meet both the existing demand and future growth in the region, it will include Indoor Courts, Performing Arts Stage, Pool, Fitness Centre, Consulting Rooms, Café and Crèche. The principal outcome of this project will be direct access to new markets for Kangaroo Island’s world-class tourism experiences and exports of fresh produce. Council is proposing to build a multi-purpose sporting facility. This project will facilitate the rationalisation of playing surfaces in Port Pirie, provide significantly upgraded facilities to replace the current ageing infrastructure, accommodate multiple sports, and will help to rejuvenate and activate the CBD by bringing more sports to the centre of town. The Frankston Regional Basketball Staduim expansion will increase the existing regional indoor basketball stadium from a 6 stadium to a 10 court regional sporting hub, incorporating a show court to meet the regions sporting and events needs. The proposed state-of-the-art regional indoor aquatic facility will provide a critically needed, affordable, year-round and accessible aquatic facility that meets the needs of a modern regional city. The project will rehabilitate and naturalise a 1.2 km stretch of the Upper Stony Creek in Sunshine North. The transformation of the Creek will remove the development constraints caused by flooding, attract private investment and facilitate employment opportunities in the Sunshine National Employment Cluster. Provide resurfacing and strengthening of the existing Mildura Airport runway surface, to cater for larger aircraft, increased traffic movements and passenger numbers forecast over the next 15 years and to lengthen the serviceable life of the underlying pavement surface. The outcome of the Pride of Melton Project is to develop a busy, vibrant and safe Town Centre that would attract local and regional visitors and consumers, increase local employment and social participation. Construction of key infrastructure to revitalise Warrnambool’s City centre, delivering a shared public community space incorporating activity nodes, commercial retail development and improved function & safety through modern, universally accessible design. The City of Karratha is committed to creating a multipurpose facility that will provide artistic development, self-learning and cultural opportunities for the communities in the City of Karratha and the North West Region. The project represents ‘Stage One’ of the Rockingham Beach Foreshore Master Plan which sets a vision for how the foreshore will evolve, and contains a series of improvements to the public spaces at Rockingham Beach, the premier foreshore location within the region. The outcome of this project is to upgrade Abernethy Road to a dual carriageway to facilitate the expansion of the Byford Town Centre and improve the safety of vehicles, pedestrians and cyclists. The Australian Government has announced $293 million to fund 111 projects to help deliver economic benefits to communities around Australia through Round Two of the National Stronger Regions Fund. Deputy Prime Minister and Minister for Infrastructure and Regional Development Warren Truss said the second round of the programme had seen an increase in the number of applications, with 513 applications seeking $1.5 billion in funding. “The strong growth in applications demonstrates a genuine appreciation of the programme by communities across the nation. The Fund maintains a very strong level of support from not for profit organisations and local governments,” Mr Truss said. “This round of the programme was very competitive and the standard of applications was higher than the previous round. “Clearly, applicants have thought seriously about how well their project addresses the objectives of the Fund. Round Two also had $25 million quarantined for projects seeking funding of $1 million or less, so smaller projects are well represented amongst the successful applicants. Mr Truss said the 111 projects selected for Round Two funding brought the total number of National Stronger Regions Fund projects to 162. “These projects bring the total amount of Australian Government investment approved to date under the Fund to $505 million,” he said. Assistant Minister to the Deputy Prime Minister Michael McCormack said he was delighted to see such a strong response from applicants again in Round Two which will deliver great new gains for communities. “The programme allows communities to identify their own priority infrastructure projects, and particularly encourages partnerships between not-for-profit organisations, local, state and territory governments as well as the private sector. The National Stronger Regions Fund is delivering $1 billion over five years to promote economic growth and address disadvantage. More on the National Stronger Regions Fund, including a full list of successful Round Two projects and details on the application process, is available online at www.infrastructure.gov.au/nsrf.